If applied correctly, nudges can be used to encourage customers to move from one stage of the customer experience journey to the next, from initial consideration of your product to converting your users. I distinctly remember the moment in college when I decided to upgrade to a MacBook. I was helping a professor set up her PowerPoint presentation in front of a packed lecture hall when I looked up to see a sea of titanium MacBooks, with my Dell as the lone exception. I had long been contemplating buying a new laptop, but I could never justify the exorbitant cost of a MacBook, not when its market competitors were a fraction of the price and generally possessed far superior specs. Later that year, I bought a Macbook anyway. Entrepreneurs often overestimate how logical their customers are. 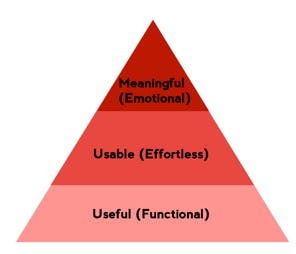 Because of this, we find that entrepreneurs frequently get stuck at the bottom of the hierarchy of customer needs (see Figure 1), believing that if they build a functional product or service, customers are sure to buy it. In all fairness, economists have traditionally reinforced this belief, suggesting that humans are rational agents that reliably make choices in pursuit of their own self-interest. We now know that’s not always the case. A need does not necessarily translate into a want. Business success is contingent on customers needing a solution to a problem, being willing to pay for a solution, and most importantly, wanting to pay for your solution. This brings us to an important distinction: needs versus wants. If customers were rational, their will to purchase a product or service would be dictated predominantly, if not entirely, by their needs, as economists have traditionally believed. In recent years, however, 2017 Nobel Laureate and Behavioral Economist, Richard Thaler, has demonstrated that people defy traditional economic theory in predictably irrational ways, often driven by social desires rather than logic. For example, buying the newly released iPhone model despite its more affordable and arguably more advanced Samsung counterpart. Ultimately, we’re only human. Customers are impressionable, but what’s interesting is that when customers act irrationally, they do so while believing their actions to be completely logical. We’re motivated by the desire to act rationally. To aid our desire to act rationally, behavioral economists, Cass Sunstein and Richard Thaler, suggest that customers need a “nudge” from time to time to guide them in making smarter decisions. In their 2008 book, Nudge, Sunstein and Thaler define a nudge as a technique that “alters people’s behavior in a predictable way without forbidding options or significantly changing their economic incentives”. In one of the zanier applications of nudging, Sunstein and Thaler discuss the Schiphol Airport experiment, wherein singular house flies were baked into male urinal bowls and effectively decreased spillage by 80%. Turns out, targets significantly improve one’s aim. Simple yet ingenious. So, what does this have to do with your startup’s success? A few months ago, we discussed the importance of customer experience journeys (see Figure 2 below) to startup success. Nudges are key to facilitating customer experience journeys. If applied correctly, nudges can be used to encourage customers to move from one stage of the customer experience journey to the next, from initial consideration of your product to converting your users into paying customers to encouraging customers to engage in long-term usage of your product or service. Fig 2. Customer Experience Journey. The possibilities of nudging are endless, ranging from revenue generation to increasing company efficiency like in Virgin Atlantic’s experiment. In tracking 40,000+ flights over the course of eight months, Virgin Atlantic in collaboration with the National Bureau of Economic Research sought to determine how to best influence their captains’ fuel-efficient and carbon-efficient performance. By providing captains’ personalized performance feedback, monthly targets, and social incentives, the airline experienced an estimated savings of $5.37 million in fuel costs and reduced emissions of more than 21,500 metric tons of CO2. The study demonstrated the potentially groundbreaking effects behavioral economics could have on both the economy and the environment. By definition, nudges are a form of manipulation. Though nudges aim to discourage irrational human behavior that may be harmful to their economic interests, many companies have recently come under a lot of criticism for their “unethical” use of nudges, begging the question, what distinguishes a good nudge from a bad nudge? Uber has recently been criticized for nudging drivers to pick up fares that often yield little benefit to them. 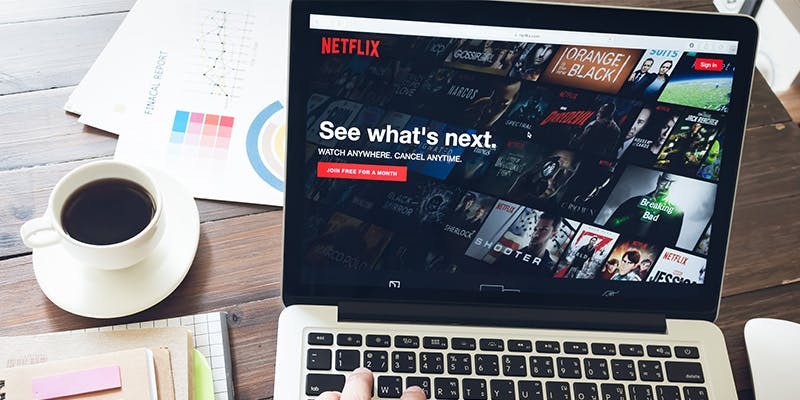 According to an April NYT article, Uber “exploits its drivers’ tendencies to set earnings goals — alerting them that they are ever so close to hitting a precious target when they try to log off.” Netflix and YouTube have come under similar fire for their “next up” features, which scientists have proven to encourage binge watching. While some critics point to ethical lines being crossed, advocates of nudging have praised their use of behavioral economics as brilliant business practice. If the father of nudging, Richard Thaler, also failed to see anything wrong, where do we draw the line? In short, nudges should be clearly communicated to an audience, non-compulsory, and be advantageous to both the nudgee and nudger. As a Snickers aficionada, I don’t appreciate the temptation of the eye-level candy bars at the supermarket checkout line, but at no point do I feel misled or forced to purchase the product. I do so of my own volition (and admittedly weak will), knowing that although unfavorable to my overall health, I’d have the moment’s satisfaction. It’s win-win for Mars Chocolate and me! If we follow these principles and apply them to Uber’s practice of alerting drivers to take more fares and Netflix nudging users to keep watching, we find that although these temptations are unpleasant, they aren’t nefarious. That’s not to say that companies don’t abuse technology to create persuasion architecture that’s exploitive to its customers. In a recent Ted Talk by Zeynep Tufekci, Tufekci mentions how Facebook was able to mobilize an additional 340,000 voters in the 2016 election simply by showing thumbnails of your friends who clicked on “I voted”. Facebook’s lack of transparency in their AI and their practice of arbitrarily burying information on their users’ newsfeeds is no small cause for alarm. With the rise of unmoderated persuasion architectures, customers are becoming increasingly aware of unethical nudging practices and are becoming concerned about their well-being. Websites like Dark Patterns have surfaced in an attempt to spread awareness of websites that nudge you into unintentionally buying or signing up for things. As Utpal Dholakia mentions in Why Nudging Your Customer Can Backfire, “nudges that are poorly thought out could be ticking time bombs waiting to explode and damage the company’s reputation and credibility among its loyal customers”. In developing Capria VentureBasecamp’s entrepreneurial training, we’ve recognized the importance of training entrepreneurs to properly leverage insights from behavioral economics. It’s important entrepreneurs are both able to effectively leverage nudges and show restraint when growth hacking tactics threaten to cross a moral line that could anger and disenfranchise their customers. With no real independent agency to monitor digital persuasion architectures, the responsibility falls to those of us working to train the next generation of startups to set the standard: “to build AI that supports us in our human goals but that is also constrained by our human values”. We can’t afford to postpone the conversation any longer. This article has been written by Kiara Feliz, former Program Lead at Capria VentureBasecamp.